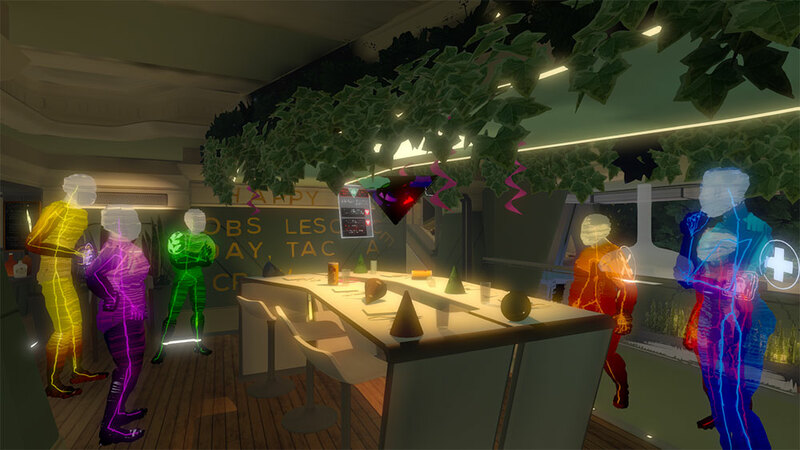 Tacoma is an action adventure game, developed by Fullbright, space and travel company. The game takes you to the year 2088, where you play the part of Ami Ferrier, who has a device that will replay the events of the last few weeks as she tries to investigate what happened to the last 6 crew members. Ami has an augmented reality device which allows her to see what had happened, just as though she was watching a recording. The AR device allows her to listen to conversations, watch actions and get into the intimate lives of the crew before they disappeared. The relationships of each character are investigated through several layers of detail. This has a result of making the game seem real. The game may seem to be a collection of cut scenes elaborately brought together to be pierced by the player. The game has been developed with a lot of attention to detail. This is a definite plus since you get to understand the nature of each character; you get this from the belongings they have to the places they like to spend most of their time. In the year 2088, huge corporations were running the global political and economic scene. They were responsible for Orbital Habitats, Artificial Intelligence, and Space Travel. People were forced to work for these corporations and would be rewarded for their loyalty. The game can be a bit intimate, with private moments being shown on the AR device. There is a lot of attention paid to almost every aspect of the native; a bottle of shampoo or a forgotten book can be played out to seem very important to the person, whose narrative the AR is revealing. The story is captivating, and an authoritative voice actor catches your attention right from the start. The game is played out on two levels; the past and the present. You go through the events of the crew in the past, and the experiences Amy is going through in the present. The game is not very long, but it does have a captivating narrative that explores the characters to an intense level; you end up feeling like you have been playing the game for days. The game comes to an ending that leaves you with a lot of thoughts in your mind. Playing the game is more about unravelling the events that happened over the last three days. You start off by watching a video in which the crew is preparing to go to a party, and the station is hit by a flying object. The object ruptures the oxygen tanks, and the crew has to leave everything behind as they try to find a solution to their problem. The manner in which the debris is left shows some desperation on the part of the crew. The pressure that comes out of the situation breeds friction, and the team is seen arguing quite a lot. Apart from arguing, there are moments when they meet and find solace and also try to solve whatever emergency they are facing. The game characters are fleshed out as you go along. You get to see some interpersonal relationships developing. There is also an Artificial Intelligence that bonds with one of the crew. You look into every aspect of each character’s last three days. The game has a lot of detail, especially in the narrative. You explore issues that you normally would not in a normal investigation. The storyline is disjointed, and that is where you have to connect the dots in your investigation. The Artificial Intelligence, called Odin, tries to help out as it also reports to the corporation. It is a character that is not to be trusted, and any interaction with him is quite minimal. The game is somewhat weird, and you have the sense of being alone all the time. There are no other characters to interact with apart from the AI. During gameplay, you can choose to follow one character at a time or go for multiple characters at the same time. This sometimes let you get a better understanding of the scenes that unravel before your eyes. You are an investigator, and this game plays on your ability to get answers from the events that you see. When it comes to the game storyline, Tacoma seems to have dropped the ball. The unfocused narrative downplays the details of the game design. The game has a lot of features which are attractive, but they have not been cohesively brought together to enhance the experience. Perhaps this was deliberate, so the player feels what it is like on an abandoned space station. There is a feeling of overwhelming loneliness, and you even start looking forward to the end of the game, so you know exactly what happened. At times you will love the presence of Odin.